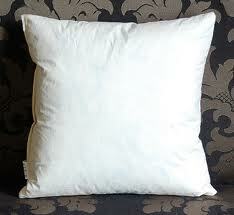 We strongly recommend feather pads to go with our cushion covers. Feather pads tend to be a bit pricier than synthetic pads but are much more reliable, fill your cushions better and keep their shape for longer. We now stock ONLY feather pads on Plum Chutney. We are aware that for health reasons some customers may be unable to purchase feather pads and we regret the inconvenience this may cause. Feather filled pad with white cotton outer fabric. This pad fits a 40x40cm cushion. Feather filled pad with off-white cotton outer fabric. This pad fits a 30x50cm cushion. 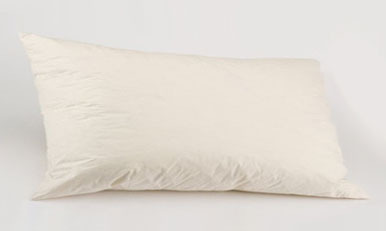 Feather filled pad with off-white cotton outer fabric. This pad fits a 45x45cm cushion.